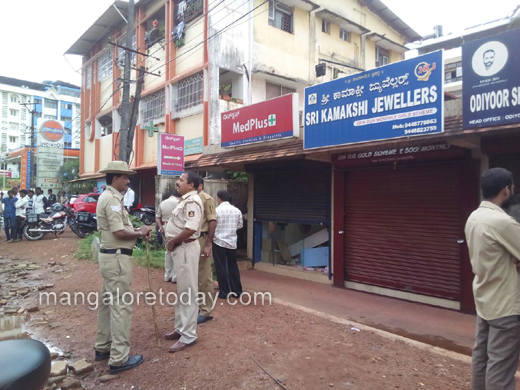 Mangaluru, Oct 2,2017 : Thieves who made a vain bid to burgle a jewellery shop and a co-operative bank at Bejai Kapikad during the wee hours of October 2, later ransacked an adjacent Med Plus medical store. 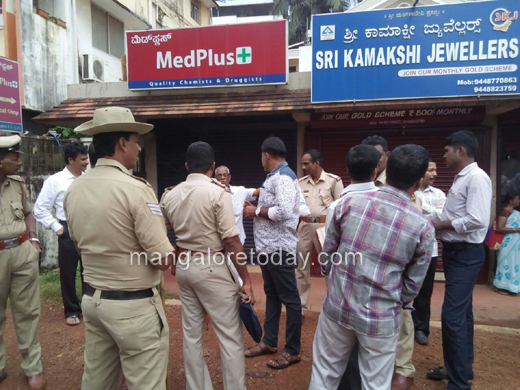 The thieves had drilled a large hole on the wall of the toilet of Med Plus in a bid to enter the jewellery store. 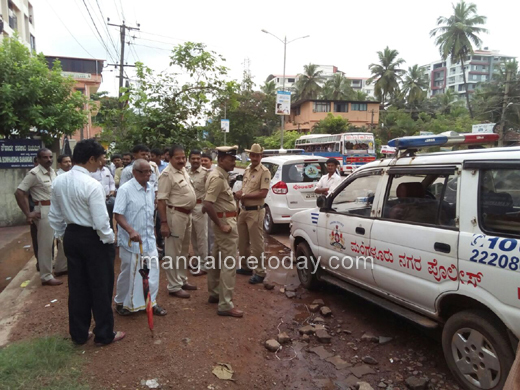 However, when they could not enter the jewellery shop, they reportedly went on a rampage inside the medical store, by turning all tables and cupboards upside down and scattering the medicines. The burglary attempt came to light only when the Med Plus owner opened the store on Monday morning. A sniffer squad and finger print experts have been pressed into service. Urwa police are investigating the case.